Nowadays, fibre optic technology shows its unsurpassable advantage in telecommunication. Hence, optical transceiver modules are widely used in data centre and other situations. When it comes to various types of data rate and interface of optical transceivers, there are lots of abbreviations to clarify. This article focuses on the introduction of QSFP connector, QSFP+ connector and QSFP28 connector. They share the same small form factor, but differ in supporting data rate and breakout connection. QSFP is the abbreviation of Quad (4 channel) Small Form Factor Pluggable. Supporting Fibre Channel, Infiniband, Ethernet, Sonet/SDH and other proprietary interconnects, QSFP connector is a hot-pluggable, compact transceiver available for use in singlemode and multimode applications. QSFP transceiver can also support 4 independent channels which can transmit individually at the data rate up to 1.25Gbp/s and the aggregate speed of the 4 channels up to 4.3Gbp/s. For using 4x1G lanes, QSFP connector was only found in some FC/IB contexts. 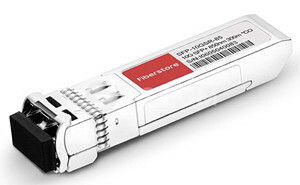 Short for Quad Small Form Factor Pluggable Plus, QSFP+ connector is regarded as the enhanced generation of QSFP connector. Why do we call QSFP+ the plus one? Because it can support Infiniband, Fibre Channel and Ethernet at 10Gbp/s per channel, thus the combined data rate of the 4 channels can reach 40Gbp/s, which is a distinct improvement in data transmission speed. Besides, like QSFP connector, 40G QSFP+ interface can support transmission and network link over both singlemode and multimode infrastructures. To enable 40G QSFP+ connector to be splitted into 4 independent data streams for different network equipment, AOC breakout cable, DAC breakout cable and other types of breakout cables are used. Besides, the main types of QSFP+ connector include QSFP+ SR4, QSFP+ PLRL4, QSFP+ LR4 and OTU3, QSFP+ CSR4, QSFP+ UNIV, QSFP+ LR4L, QSFP+ SR Bi-Directional, QSFP+ PLR4, QSFP+ER4 and OTU3. With the same quad based interface as QSFP and QSFP+ connector, QSFP28 fibre optic transceiver can transmit optical signals at 100Gbp/s. Each channel of QSFP28 connector can transmit individually at the data rate up to 28Gbp/s. Outstripping CFP, CFP2 and CFP4 connectors, QSFP28 connector has become the preferred solution of 100G network upgrade for its high flexibility and smaller form type. The flexibility of QSFP28 allows it to be used in several kinds of combination, including 100Gbp/s, 2x50Gbp/s and 4x25Gbp/s. Like QSFP+ connector, depending on the application, there are different options of breakout cable to consider, such as AOC breakout cable, DAC breakout cable and other types of breakout cables. Besides, there is an important note, that a QSFP28 connector can’t be broken down into 10Gbp/s channels. However, QSFP28 is backward compatible, so when it is used in a QSFP+ port , it would allow a breakdown into 4x10Gbp/s SFP+ channels. Lastly, there are several types of QSFP28 connector: QSFP28 SR4, QSFP28 PSM4, QSFP28 CWDM4 and QSFP28 LR4. QSFP, QSFP+ and QSFP28 connectors are introduced in this article from the aspects of form factor, supporting data rate, breakout connection and types. With the above information, it would be easier for you to choose QSFP, QSFP+ and QSFP28 connectors. QSFP connectors are often used in 4x1G lane. 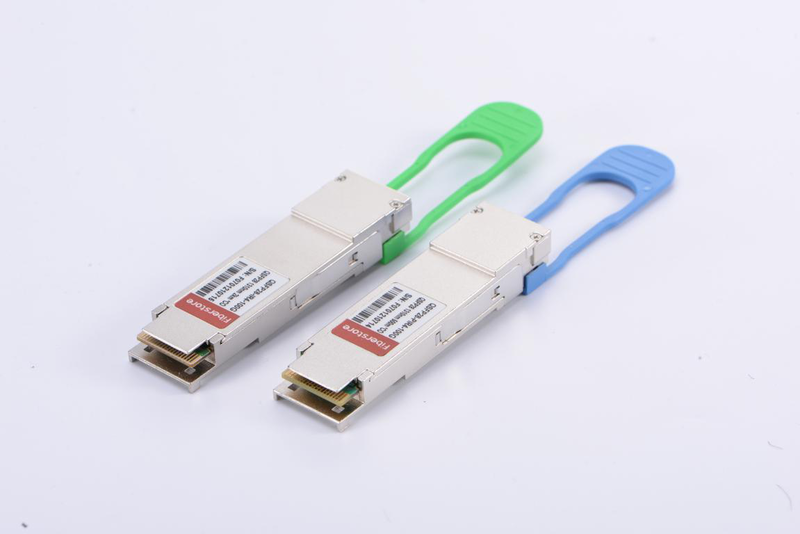 While QSFP+ connectors are mostly used in 40G lane, and QSFP28 connectors are mainly used in 100G lane. Besides, QSFP+ and QSFP28 can be splitted into several streams by using breakout cables. ALL in all, your choice need to depend on your network situation and requirement. If you need a little more help and advice with any of QSFP optics or fibre connectivity cables, then please do not hesitate to let us know. For purchasing high quality QSFP, QSFP+, QSFP28 connectors and QSFP cables with low cost or for more products’ information, please contact us at sales@fs.com. This entry was posted in Fiber Optic Connectors, SFP Transceiver and tagged QSFP cabel, QSFP connector, QSFP+, QSFP28 on October 6, 2018 by Admin.